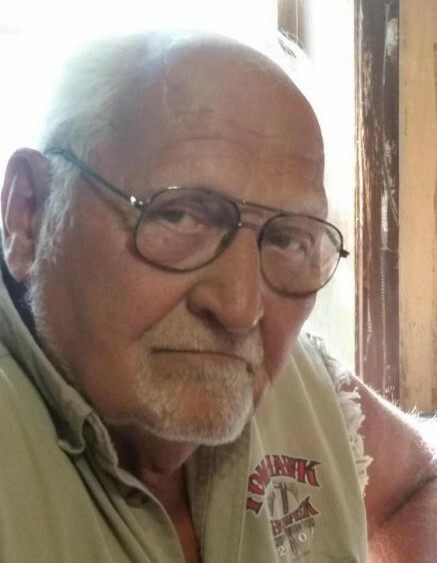 Chester F. Neumann Sr., age 72 of Bear Creek, passed away at his home and entered Heaven on Friday April 12, 2019, with his loving family by his side. Chester was born on March 4, 1947 in Sobieski as the son of the late Felix and Kathryne (Murdzek) Neumann. He grew up in Sobieski prior to his family moving to a farm in the Black Creek area. On August 25, 1966 Chester was united in marriage to Tootie Balthazor in Crystal Falls, MI. The couple moved to Bear Creek where they raised their five children and have resided ever since. Chester was employed as a heat treat operator for Walker Forge in Clintonville for many years and enjoyed working in his garage. He was an avid outdoorsman that loved hunting, fishing mainly Walleye, boating, camping, snowmobiling, 4 wheeling, spending time with his grandchildren at the races, and loved riding his Harley Davidson Trike. Chester is survived by his loving wife of 52 years Tootie Neumann; his sons: Chester Jr, (Tina) Neumann, Michael (Julie) Neumann, David Neumann (special friend Danielle), and his daughters: Melissa (Matthew) Stock, and Melinda (Brett) Thebo; brothers, John (Louise) Neumann; sisters, Barbara (Randy) Johnson, Sandra (Newt) Wendt; Chester is further survived by a number of grandchildren, great grandchildren, nieces, nephews, relatives, and friends. Chester was preceded in death by his parents, Felix and Kathryne Neumann, brothers: Bernie, and Tom, sister-in-law’s Gail and Jeannie, nephew Bobby, niece Linda, and granddaughter Shannon. The family of Chester Neumann extends a special thank you to the awesome staff of ThedaCare Oncology and ThedaCare at Home for their care and compassion. A special thank you to Dr. Xin Yao, Dr. Molly Schumacher, Theda Care Nurses Tammy and Kristy, and family friends Jenny Hegewald and Alissa Thebo.